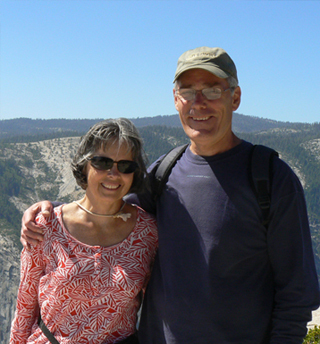 John and Ellen Ratichek lead Foresight's work through regular trips to Nepal and weekly contact with partners and students. They began on-site work in 1998 with developmental support for 20 children drawn by Prison Fellowship Nepal out of Nepali prisons where they had been living with their parent. John facilitates the development of leaders, teachers, and students, and manages Foresight’s strategic, financial, and legal affairs. He spent 10 years in manufacturing industry, 24 years in university student ministry, and 5 years consulting in development finance. He has a life-long interest in helping people do what they love and are gifted to do. John holds an MBA degree from Harvard University and a BA degree in Religion from Amherst College. Ellen leads Foresight's education and teacher training work. She helps equip Nepali teachers with developmentally appropriate, child-centered teaching techniques and methods. And she helps guide the higher education placement of Foresight sponsored students. She brings many years of experience in remediating reading and learning disabilities, principally in private practice as an educational therapist and in the public schools of Bedford, MA, USA. Ellen holds an MEd degree from the University of Massachusetts-Amherst and a BS degree in Child Development from Cornell University. 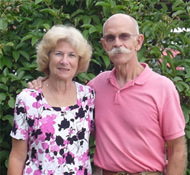 Dave and Terry have retired from their engineering and teaching careers, and regularly journey to Nepal as full partners in Foresight's work with both National Bethel Academy and Foresight's mentoring program. They bring technical expertise, a love for our Nepali partners, and excellent humor. 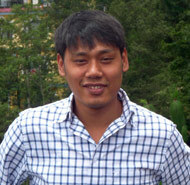 As the oldest of the Foresight students, ManBahadur finished a bachelor degree in business and currently works in a bank in Kathmandu. He serves as Foresight's on-site financial manager for the student sponsorship program. He has recently married one of the young women from the Foresight program. Foresight Development International was founded as Foresight International Incorporated in 2001 by Wayne C. White Ph.D., who subsequently served as Executive Director. Other Board members included his wife, Angelica F. White. In its early years, Foresight International supported the development of schools in the western part of Nepal which served the disadvantaged ethnic minority groups in that area. In 2007 the organization transitioned to a new Board under the leadership of John Ratichek, and its name was changed to Foresight Development International, Inc. Wayne White has continued his work as a board member. John Ratichek, Chair - President of Foresight Development International, Inc.
Wayne White, PhD - Consultant in international development and founder of Foresight International, Inc.
David Monaghan - Retired Engineer and Project Manager for Foster-Miller, Inc. and a frequent participant in Foresight trips to Nepal. Jeffrey Barneson - Staff leader at Harvard University for InterVarsity Christian Fellowship's ministry with graduate students and faculty, and a regular leader of service and mission projects in developing countries.